I hope you are all having a good week and are enjoying the sunshine. I am very sorry for my lack of blog posts this week. I finally took the big step in my blogging career and bought my domain name it is now www.bellaandvogue.com I had a little trouble in the process but everything is back to normal again, so this week I will be getting back to regular blog posts. 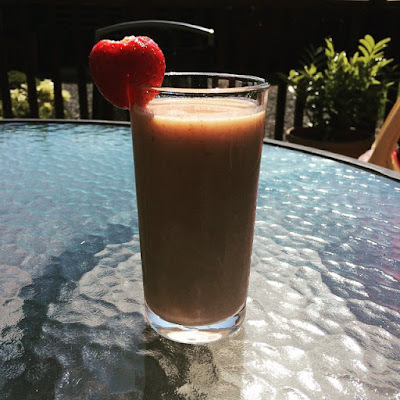 Yesterday I posted my 'Sweetheart Strawberry Smoothie' on my social media accounts and a lot of you were asking for the recipe, so here it is...Enjoy! I love drinking smoothies and juices in the summer, they are so refreshing and the fruit smoothies are perfect for anyone who suffers with sugar cravings! Sometimes you just need that boost, don't we girls!